Souls DLC is a risk by design. The core games are crafted around a multitude of different concepts bound by a cohesive theme that just comes together by the time you reach the finish line. So by adding on extra optional quests months down the road, there's a chance that anything bite-sized enough to warrant a smaller price tag will flow strangely when it's ratcheted on in a Frankenstein-like fashion. Artorias of the Abyss for the original Dark Souls was the pinnacle of actually "adding on" to what its foundation already had. It still hasn't been topped. 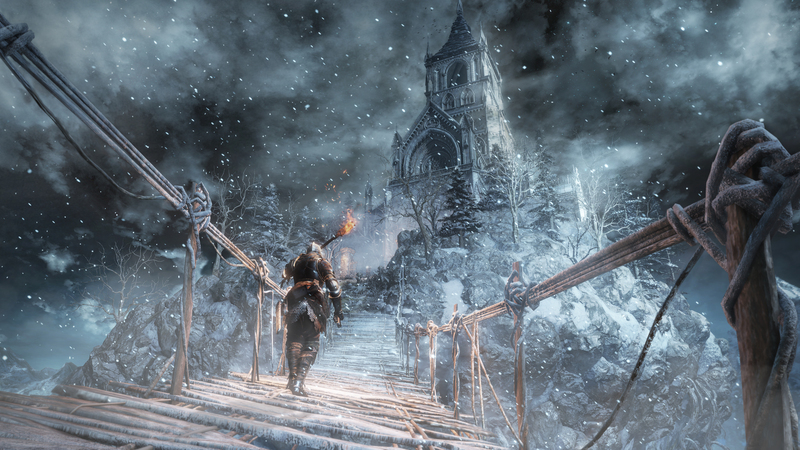 As is customary, Dark Souls III's Ashes of Ariandel is a kinda-sorta endgame extension of the campaign, and thus should be tackled sometime after the final boss or whereabouts. From Software recommends around level 80, which I found accurate. Remember what I said about Frankenstein (his monster, really)? Well, it's a patchwork job -- it's snowy, just like the Crown of the Ivory King DLC from Souls II, and it doesn't really go anywhere we haven't seen before. In fact, the entire thing is tenuously linked to the original, but mostly patched up with lore of its own. Suffice to say, even though folks will probably be deciphering it over the coming weeks, not much in particular, either NPC-wise or in terms of the setting, stands out. Veterans will likely take around five hours or less to conquer it all. There are a few really cool enemies that straight-up impressed and scared me (I won't spoil anything, but beware of the trees and the Voldo lookalikes) among several re-skins, most of which are variants of the humanoid combatants you've encountered in the Undead Settlement zone -- just viking-themed. 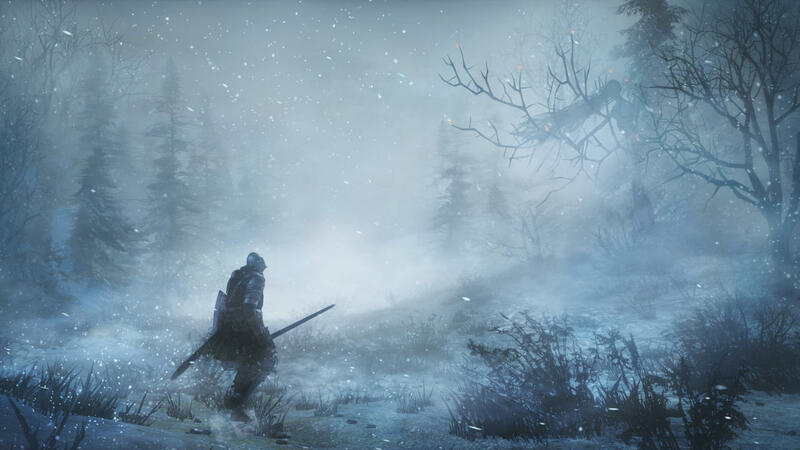 Maybe we've reached peak Souls (or maybe Miyazaki just isn't as involved here), but even the starting area reminded me of a frozen Darkroot Garden when it came to the layout. None of it is bad, just familiar -- even several of the pointless, two-second-saving shortcuts, and one of the (two) bosses that's basically a pair of juiced-up regular baddies. The other is much more impressive multi-phase fight that will have folks talking for a while. If you're keen on gathering more riches, that's the best part of Ashes. There's several useful new weapons, like the Crow's Quill rapier that doubles as a set of daggers, the Crows Talon claws (we need more of these), and the giant Earthshaker Axe and Quakestone Hammer, which trigger tremor powers. Spells like Frozen Weapon and Way of the White Carona (read: a boomerang power) are also dope as hell, and play nicely with the rest of the game. There's also a token PVP mode that actually makes proper lobbies (with duels, brawls, and private match support) if you're down with that. I wasn't able to fully test it out, but I did obtain the item to unlock it (it's from a boss), and they're queued from the Firelink Shrine by way of a menu option. So don't expect some epic intro that's integrated into an area like it was in Artorias -- it's all a bit unceremonious, much like the main finale.